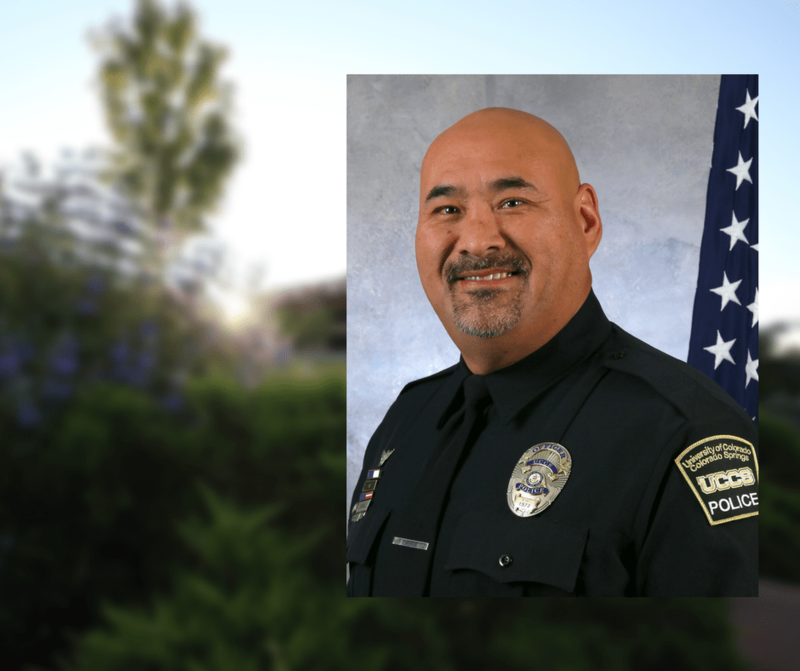 Memorial services for Larry Darnall, 47, an 11-year veteran with the UCCS police department, will be at 2 p.m. March 5 at Rocky Mountain Calvary Church, 4285 N. Academy Blvd., Colorado Springs, Colorado. He passed away Feb. 24, 2018, after a battle with pancreatic cancer. Darnall served as a deputy with the El Paso County Sheriff’s Office before he joined the UCCS police department Dec. 11, 2006. He received the UCCS police Medal of Honor Dec. 11, 2013, for his extraordinary heroism during the Black Forest Fire. It’s the highest honor an officer can receive. Faculty, staff and students desiring counseling services can contact the UCCS Wellness Center at (719) 255-4444. It is with deep regret we inform you of the passing of our friend and colleague Officer Larry Darnall on February 24, 2018. Officer Darnall has passed after his inspiring battle with cancer. Officer Darnall started with the UCCS PD on December 11, 2006. We were very fortunate to have worked with Officer Darnall over his 11-year career with UCCS and his previous work as a Deputy with the El Paso County Sheriff’s Office. We warmly remember his enthusiastic and skillful support for UCCS and the UCCS Police Department. He was a very kind person who was always willing to give his time and knowledge to help the UCCS community. Officer Darnall had received the departments Medal of Valor, the highest award an officer can receive, in 2013 for his actions helping the local community during the Black Forrest Fire. We would like to extend our sincerest condolences to his family and his colleagues at UCCS. Faculty, staff and students desiring counseling services will find support through the UCCS Wellness Center at 255-4444. My heart breaks at the news of Darnell’s passing. He was like a big teddy bear, always a smile on his face! I cannot find the words to express the grief that follows. My sincere condolences to the UCCS community.